The Longines Global Champions Tour of Doha 2018 was a three day celebration of show jumping, jam packed with incredible moments and breath-taking displays of sporting prowess. Ben Maher (GBR) made history by becoming the first rider to take FOUR LGCT Grand Prix wins in a season, aboard the incredible chestnut gelding Explosion - the pair cementing their place as 2018 LGCT Champion of Champions. Thousands of spectators enjoyed cafes, displays and a fantastic “Kids Academy”, children enjoying pony riders as well as witnessing the stars of show jumping in action in the state of the art arena. There were amazing scenes as The Father Emir of Qatar Hamad Bin Khalifa Al Thani, who had the vision to create the magnificent AL SHAQAB equestrian facility toured the arena, Her Highness Sheikha Mozah bint Nasser presented the winning medal to Ben Maher and His Excellency Sheikh Joaan Bin Hamad Al Thani was also in attendance at last year’s special event. 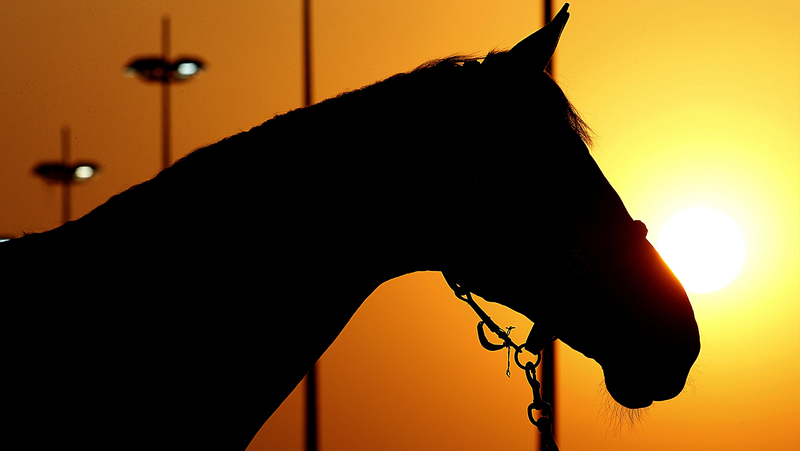 With just two weeks to go until we head back to AL SHAQAB, in Qatar's capital city of Doha, we have pulled together some of our absolute favourite images. Take five, grab a coffee, sit back and scroll through by clicking this link.